AnonD-165816, 24 May 2015How about you go away. Nokia had it coming, they practically did it to themselves.Neah, Elop did this to Nokia, forcing Windows Phone on them, killing off (in public, long before there was going to be any Windows Phone device available) Symbian and freezing Maemo/Meego pretty much fully. And Elop 'oddly enough' came from Microsoft before being pushed to the CEO position and returned happily right after Nokia sold it's mobile department, to Microsoft. Something with Trojan Horse and such. Anonymous, 24 May 2015After what they have done to Nokia I only want Microshaft to gth. No matter how good their pho... moreHow about you go away. Nokia had it coming, they practically did it to themselves. After what they have done to Nokia I only want Microshaft to gth. No matter how good their phones are or how funky windows phone 8.x has become. Just go away! I know my carrier in the US is going to get the 640. I wonder if the 640XL is coming to the US as well. I really want to get one for my Sister. She loves Windows Phone and wants a larger screen then on her 925. I do not have the money for a 1520 and do not want to get the older 1320 unlocked because I have Tmobile and not Cricket. So I hope my carrier get the 640XL, or at least a carrier unlocked version that has a warranty on it. So the pric U.S. The only midrange thing about this. Great phone for low price. AnonD-341196, 19 May 2015Wish the screen was a bit smaller at 4.5 inch. It would have been perfect. You have Nokia Lumia 730/735 minus the Glance screen! Wish the screen was a bit smaller at 4.5 inch. It would have been perfect. I'd buy thus MS cell! 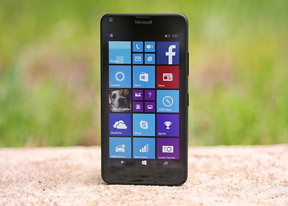 These devices (Lumia 640 and 640 XL) are very competitive propositions. The biggest Windows alternative at the present time is the Nokia Lumia 830 which can be bought at a comparable price now and which is capable of recording 1080 video in stereo, which for some reason the 640 doesn't offer. Excellent range of features on offer with these devices. Microsoft may have "done right" with the 640, but they are sure doing wrong with the slow, fumbling, carrier-centric USA release. It has WP 8.1 update 2 but still cant play mkv?